Often, we get asked the question “when should I hire an accident attorney in Los Angeles?” The answer is, of course, “as soon as possible.” That’s not to say that like, you give us a call while you’re sitting in the wreckage of your vehicle or something. Your health should come first, always. But, after you’ve made sure that you’re safe, contacted the police as well as the appropriate medical professionals, then it might be time to reach out to a lawyer. The reason you want to do it earlier is simple: because the other side is going to start as early as possible. Many people, after they’ve been hurt in an accident, think “I can handle the suit myself.” We don’t agree, but we understand the logic. You’ve been through a difficult time, and you’re facing an uncertain one. You know that you have to do something, but you really don’t want to have to deal with it. So, you think by doing it yourself, you can maintain control, and eventually get on with your life. However, you absolutely shouldn’t do this. Trying to handle the case yourself is one of the worst things you can do. Really, if one of your hopes is to not have to worry about the case, the best thing you can do is hire an accident attorney in Los Angeles at the LA Injury Group. We can take care of all of it for you. With us representing you in the case, we take the ball and go. We hit the ground running, and can handle every aspect of your case, from the initial investigation through the successful completion. The insurance company will stop calling you when we represent you, as they’ll understand they can’t just get you to sign some deal. We also understand that many of our clients want to maintain some control of their case. We completely respect that, which is why we leave the pathways of communication open. By making sure that you can reach us and that we return your calls quickly and often, you’re always heavily involved in your case. We firmly believe that the more informed a client is about their case, the better decisions they’re likely to make about the case going forward. After all, we represent you in this case, so we want you to be totally on board with everything that we’re doing. That’s especially critical during the negotiation phase of the case. For example, there are too many other law firms in this town who will just take the first offer from the other side. No matter how low ball it is, no matter how much less this number is than what the case is worth, they’ll just take it. Worse still, these same lawyers will turn to their clients and say: “that’s the most we could get. That’s what your case is worth.” That’s literally the last thing our accident attorney in Los Angeles team would ever do. We’re in there fighting for you. When the other side makes an offer, we’ll let you know about it. Better still, we’ll let you know how it compares to what we believe your claim is worth. See, we’ve been doing this for a very long time. 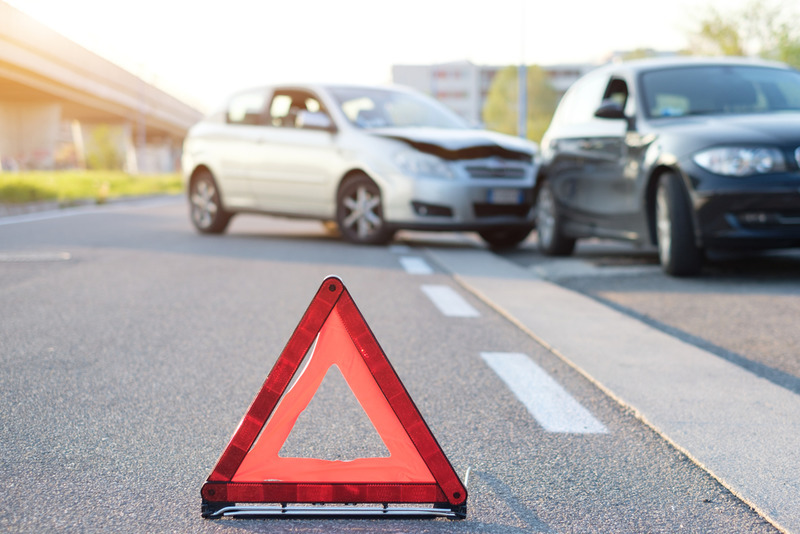 We’ve dealt with so many different kinds of accident cases. Those years of experience, those hundreds upon hundreds of won cases give us a pretty good idea of how much your claim is worth. So, when we tell you what your claim is worth, that’s not just us saying that – it’s an informed, educated expert opinion backed up by years of experience. We make sure you know what your claim is worth, and then we do everything we can to make sure that you get it. Those are just a few of the reasons not to handle your own case. Another big reason is: your opponent. The other side. One thing everyone knows about insurance companies: they sure aren’t “going to try the case themselves.” Of course not. They have teams of attorneys on their side. In fact, they have some of the absolute best attorneys in the world fighting for them. Each of these attorneys aren’t just expert attorneys; they’re expert attorneys in the field of accident cases. All of them will be going against you when you try your own case. And still… that’s not all that the insurance company can throw at you. See, the insurance company has resources that can legitimately be described as “limitless.” If there’s something the insurance company wants to bring into their case, they can. Should they want to get the best experts to investigate the site of the accident, that’s no problem. If they want to bring in an accident reconstructionist (yes, that’s a thing that exists) using the most up to date technology, sure they can do that too. And that’s on top of the teams of analysts and adjusters they already have on their payroll. You, of course, should you try your own case… will have none of that. The investigation phase is one of the most important, as well as one of the earliest. That’s one of the major reasons we say that not only do you have to hire an accident attorney in Los Angeles, you have to do it as soon as possible, too. See, if you wait and dally in terms of getting an attorney on your side, you’re kind of ceding the entire investigation to the other side. While you’re figuring out if you’re going to get an attorney, the other side has already sent their best investigators to the scene of the accident to collect evidence. No matter what that evidence finds, you can rest assured that it will be spun so as not to reflect on you. This is true even if the accident wasn’t your fault. Frankly, it might be true especially if the accident isn’t your fault. But, if you do hire an accident attorney in Los Angeles early enough, we can send our investigators to the accident site, too. They can get all of the pertinent evidence before it disappears. Skid marks, wrecked buildings, crashed vehicles – all of these things move. They won’t be there forever. That makes it all the more important that you have investigators on the site quickly to cover it all. The more evidence we can collect, the more we can discover of the truth – and then, the more it can help to make your case all that much more compelling. If you don’t hire an attorney, you’ll have the insurance company calling you all the time. They always hope for someone to not hire an attorney, because they see it as a “green light” to make offers to you that is so much less than what your claim is worth. They love to take advantage of people without legal experience because they can make more money off of them. Insurance companies offer settlements early on that won’t cover many of your injuries, in hopes that you’ll sign them because you feel vulnerable. Then, should you try to get compensation for the injuries that have developed, they’ll be able to point to those documents and leave you out in the cold. Of course, that won’t happen if you have the LA Injury Group on your side. Before you sign something from an insurance company (or really, anyone else in regards to your accident) let us take a look at it first. We know how difficult the process can be on people, so we made it easy to schedule a free consultation with us. To see how we can help, give us a call at (818) 210-4558 or head to our site.